Herbalife of America, Inc. is an American multi-level marketing venture that specializes in nutritional supplements. It is publicly traded on NYSE:HLF. There are members in 90 countries and revenues in 2015 were reported as 4.4billionUSD. The corporate office employed 7800 in 2014. To reach customer service call 1-866-617-4273 or find assistance here. To write to CEO, Michael O. Johnson you may address an envelop with: Worldwide Herbalife Headquarters, 800 W. Olympic Blvd., Suite 406, Los Angeles, CA 90015, USA. Corporate office phone number is 866-866-4744. Founded in 1980 and having successful endorsements as well as legal litigation you may find social presence on Twitter, Facebook, Instagram and YouTube. Some popular products include: Herbalife 24, FitnFull Shake, Herbalife Green Tea, Formula 3 Cell Activator and the Core Nutrition Line. Hello my name is Tiffany shaffer im putting in a compliment regarding an order my daughter Jordann shaffer made. She ordered 2 bottles of tea on February 4th she has not received that order. Other than that complaint on its own we have called at least 10 times been on the phone with people from your comany over 30 minutes each time. We have jumped through their hoops, sent emails with proof, anything they asked we gave. Each time they have said they will get back to us and we get nothing! They say we have emailed or called and you havent got back to us when in fact she has each time! All we are asking for is her tea or her money back. I cant see the problem here she ordered from you officially website this is your obligation to satisfy your costumer is it not? I will attach what we have on this matter and hopefully you can help us out. I hope you can resolve this issue and refer us to someone in Utah we can trust and order through. We assumed it would be safe to oder directly through your website but apparently not. I have been using these products for over a year now and have loved every minute of it. 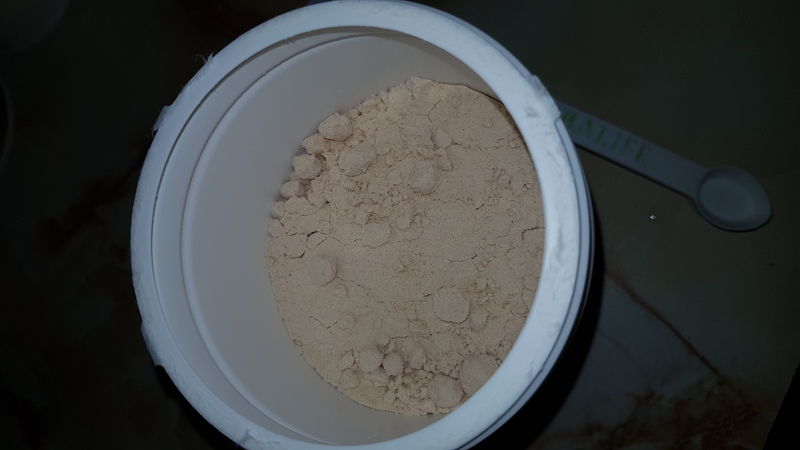 How ever I placed an order on Wednesday the 1st of November and my products were delivered on the 2nd when I opened my blueberry & raspberry shake canister this morning it was just about half empty! I am not happy with this as I pay a lot of money for these products and deserve to get the right amount as I'm paying for it! I have got a picture of it aswell, please contact me in regards to this, thank you! The Herbalife store Precision Nutrition in Del City Oklahoma is a rip off they promote the people that they want to and steal orders and give it to other people to move up instead of who it belongs to, this place is a rip off and the 2 running it our the worst about it, one has only been there a year and does not sell that much product but yet gets every one else's points because the owner likes them and rigs the books for her, this store needs too be shut down. A rep verbally attacked me because I stated that the Herbalife product was expensive. He attacked my family. This is not the message that someone in business should be delivering to anyone, whether they are looking at buying a product or not. If nothing else, it gives a bad name to the company. I love all my family but I have no time for y'all if you want to make comments like that on my wife's business posts... you can afford it.. you and the rest of those who won't get on this just like my mom and dad are aren't willing to learn anything about it... you see a price but did no research on it. Maybe you should go through all the products in your fridge and compare them to mine before you slander our products expense.. I know all you said was to expensive.. but its enough to discourage others who might not feel the same... it costs 3.25 per meal... you buy a large McDoanld's meal for 9.. I am upset about this only because I expect more from you than the others. I ordered products from a Herbalife customer service representative over a month ago and never received anything. I even tried to call her but she never returns my calls. Will the corporate office allow this from one of their reps? Not good for their reputation. Health management is always important as I realized it late in my 30s. One of my friends suggested me Herbalife when I was losing my weight. I have contact Herbalife representative and felt it as the wonderful choice to act on my health and fitness. Herbalife gives you body mass index and suggests appropriate nutrition & weight management treatment with only herbal medicines. Natural herbal milk shakes, energy drinks & powders are the main products. I really thank Herbalife for bringing me a drastic improvement in my weight from 36kgs to 45kgs in 4 weeks. I would like to suggest you all to approach Herbalife for your nutrition management plans.